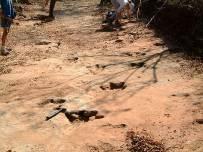 There are 14 footprints of a large bipedal dinosaur in the dry bed of the Ntumbe (locally Mufuraninga) River in the Chewore Safari Area (Tim Broderick, 1985). 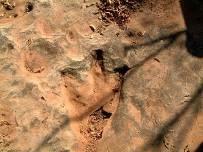 A small trackway is 218cm long and consists of ten footprints set close to the midline. The average pace length is 24.6cm and average stride length 45.8cm. Height at hip is calculated at 22.5cm. 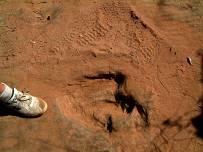 The speed of the dinosaur was calculated at walking pace of ~1.98km/hour. 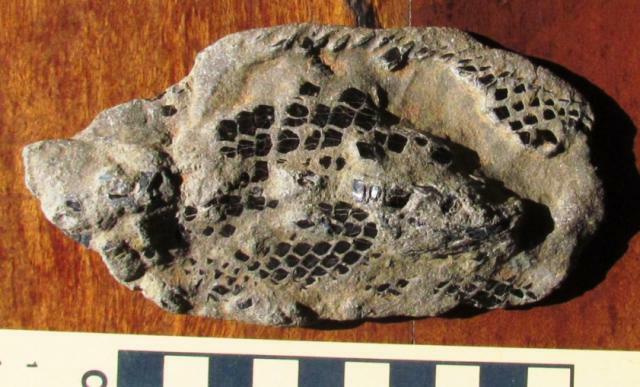 A second theropod trackway (203cm long), the tracks are 7cm long and pace and stride lengths 39cm and 80cm, respectively. Height at the hip of the dinosaur is calculated at 31.5cm. It was travelling at a trotting gait estimated at 13.88km/hour.